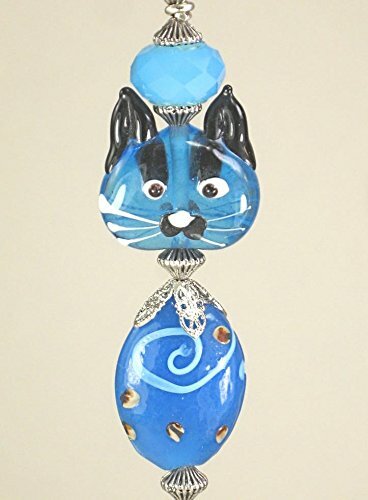 He's a cool cat in all blue glass...a perfect pal to have hanging around all day! 5-inch long extra ball chain attached (included) snaps in and out at top and base for easy connecting to your existing chain. Blue. If you have any questions about this product by Trace Ellements, contact us by completing and submitting the form below. If you are looking for a specif part number, please include it with your message.